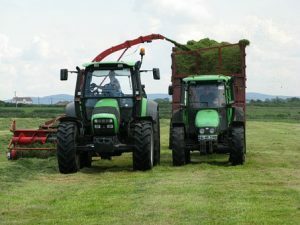 DATCP has updated the local options map for Implements of Husbandry (IoH) and Agricultural Commercial Motor Vehicles (Ag CMV). There were some local options changes for 2017 looking at the resolutions listing on the DOT website. This is an easy reference to see what option a town or county may be operating under for the IoH/Ag CMV weights. Curious about the price of standing hay? Check out this Pricing Standing Hay guideline for more information.